Thanks to Makers Steve Tumbleson, Peter Bolakowski, Casey Drudge, Chris Highlen, Greg Jacobs, BJ Harper, and others who helped make the Wet Swing Set a reality. It was touch and go throughout the day but finally all technical kinks were worked out, the generator actually worked, and safety was assured, so swingers had the chance to not-get-wet. Check out Tekventure on Facebook to see a complete photo album. 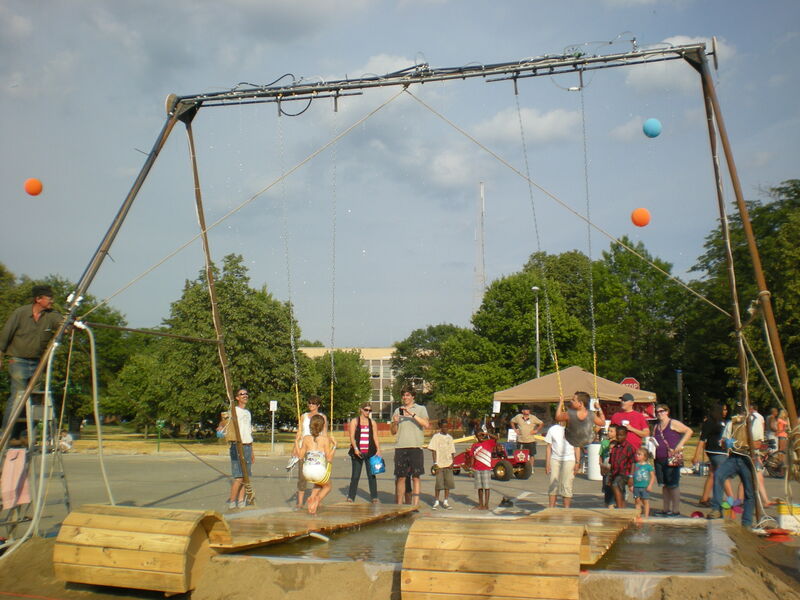 If you have an innovative idea like the Wet Swing Set and want to share it with others, register as a Maker for the Fort Wayne Regional Maker Faire.